By Caz | October 9, 2018 | This post may contain affiliate links, which means we may receive a small commission, at no cost to you, if you make a purchase through a link. Read our Disclosure. There’s a strange air of peace in famous battlefields I have visited around the world. 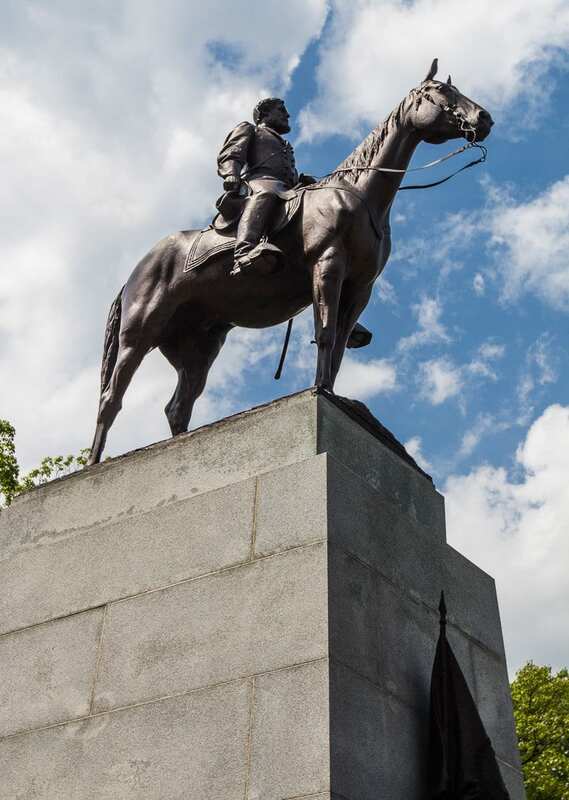 As soon as we drove into Gettysburg and saw the first of hundreds of monuments rising up over the fields with magnetic power and grandeur, I felt an overwhelming presence of peace and wonder. Its eerie beauty goosed up my skin. I remembered all I had learned from other battlefields, places like Gallipoli in Turkey, where horror intertwined with monumental bravery in defense of ideals and beliefs. All that remains after the most dire of circumstances is love and peace and the strength to forgive, and move forward. 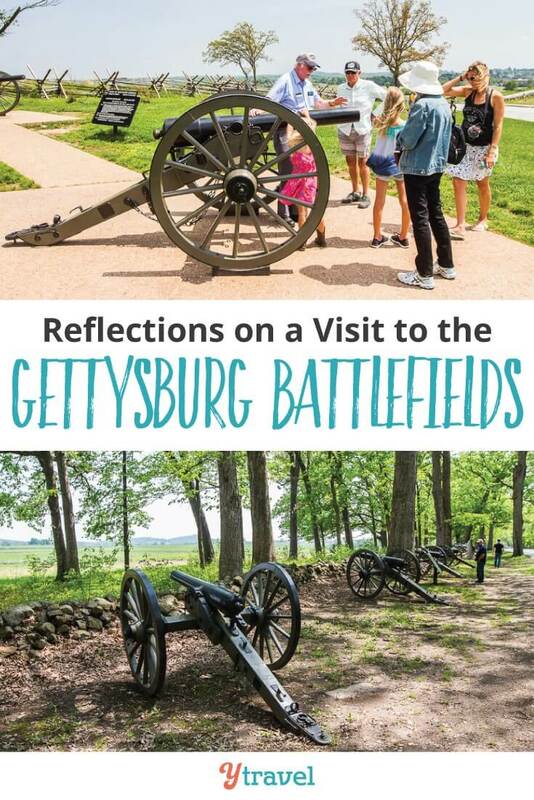 I wasn’t expecting to be so moved by the Gettysburg Battlefield experience, and only decided to add it to our Dallas to Boston road trip because we were passing through there, and my history buff Dad spoke about Gettysburg plenty of times when I was growing up. How must it feel walking towards cannonballs, musket fires and bayonet charges knowing that today you have an almost certain chance of dying? How passionate must you believe in something to keep moving forward despite this? Did they even know what they were fighting for? Was it freedom or power? Why is that humanity thinks this destruction is the only way to solve problems? These soldiers were not fearless. They feared death and mutilation, but still charged forth for duty and honor. Would I be willing to fight for something with such loyalty and sacrifice? The only reason I can think of would be for my daughters, which is actually a fight for love and protection. Perhaps in the mind of all these men that’s what they thought they were doing. 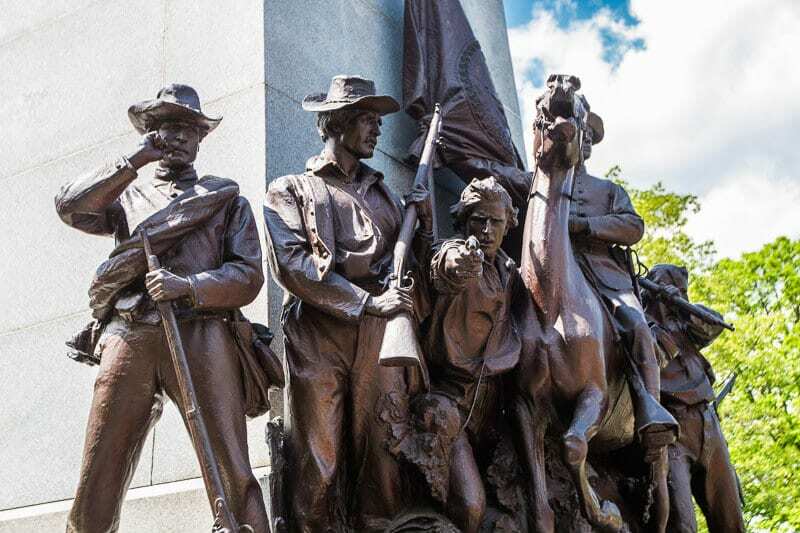 The complicated story of the American Civil War and Gettysburg’s instrumental role in the ultimate victory by the North is told so well through Gettysburg Battlefield Tours, the Gettysburg National Military Park Museum, The Shriver House Museum, and the National Cemetery. The complex story of both sides is shared. Contrary to what we thought, the Civil War began more over the North’s desire to stop the expansion of slavery rather than end it. They feared an expansion of slavery into the West would shift power to the South. Tension over this issue brewed for decades between the North and South, until the South threatened to leave if Lincoln was voted in. They succeeded from the Union as the Confederate States of America when he was. Even though the ending of slavery wasn’t the original intention of the Civil War, I’m glad it was the end result. 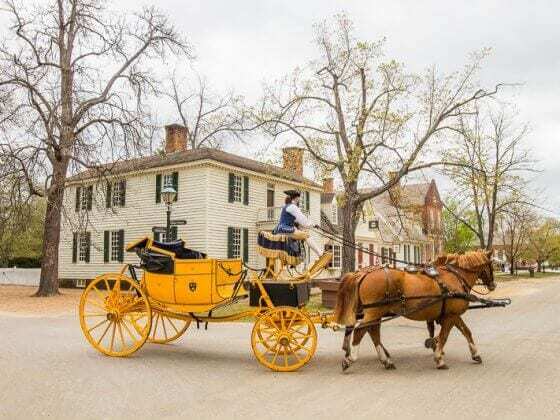 Gettysburg was the meeting point of 10 major roads. It was never intended to be a battle site. 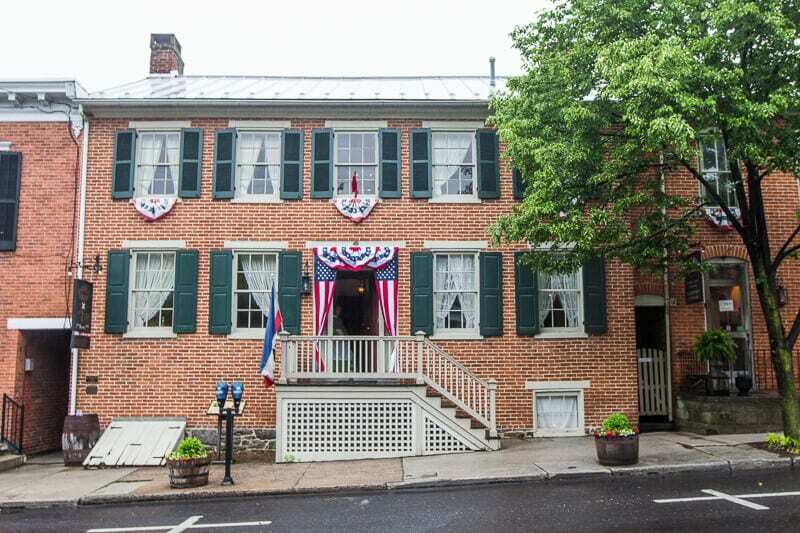 It just happened that Confederate and Union soldiers met at this meeting point, which became the most infamous battle of the Civil War. 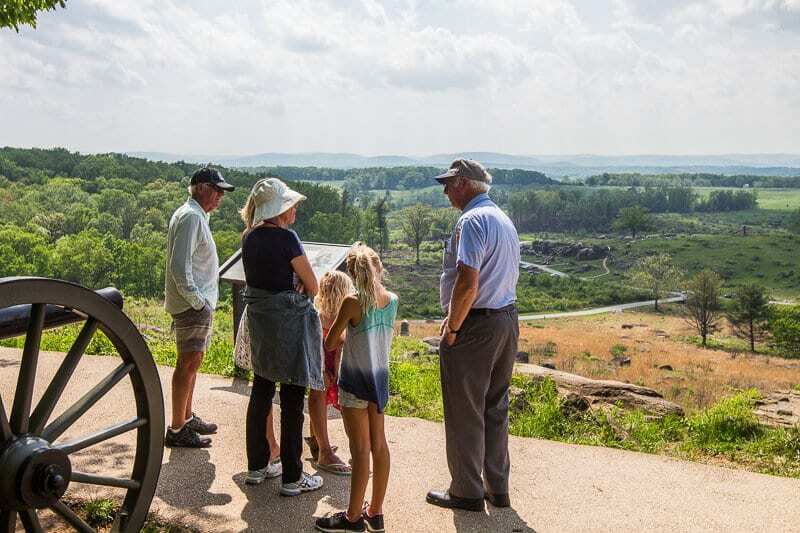 For three days, fierce fighting happened, immortalizing places like Cemetery Hill, Peach Orchard, Little Round Top, and Culp’s Hill. Gettysburg did not end the Civil War, which continued for a couple more years, but it was a turning point for the war and the Union armies. 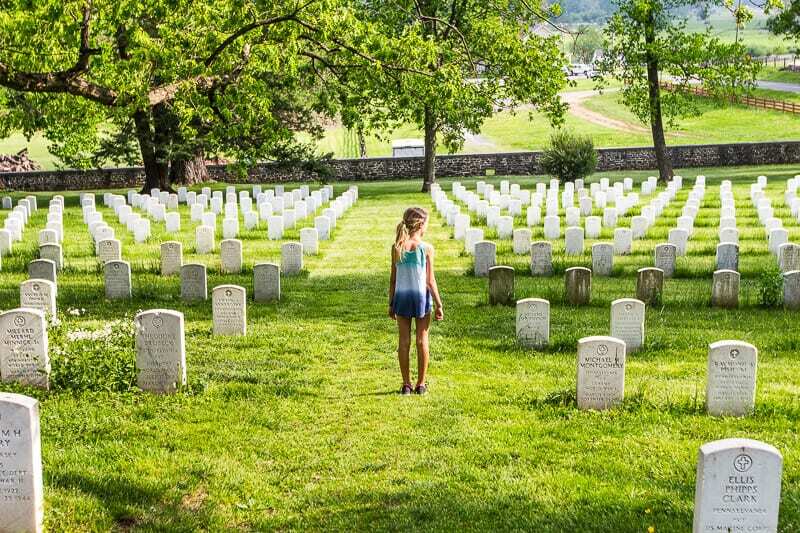 At the battlefield of Gettysburg 7,000 soldiers died and 51,000 were wounded or captured. A loss of life that is so difficult to comprehend. The ripple effect of damage this does to communities for generations to come is incredible. How much of that is still felt now, centuries later? 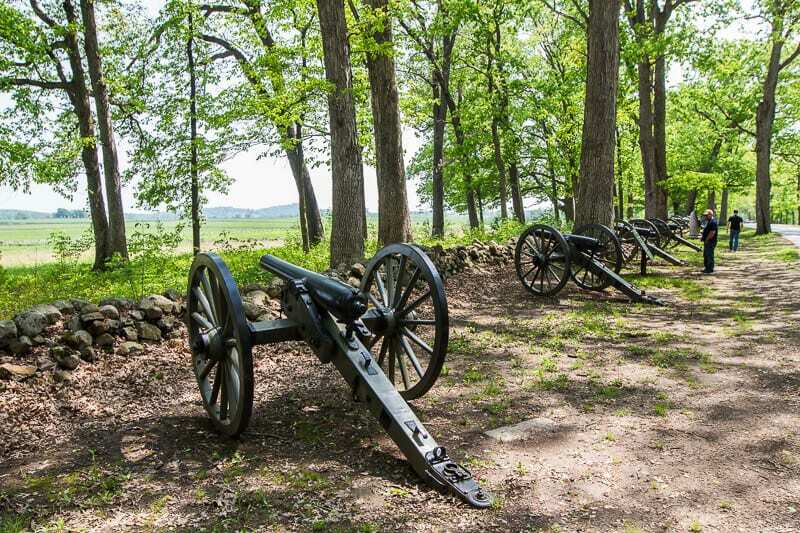 Gettysburg was a massive blow to both sides, even the victorious North. But it was also disastrous to the town. This small town of 2,400 residents were left to tend to the 21,000 wounded left behind, clean up the town, bury the dead (including thousands of dead animals), and help those coming into town for years later searching for loved ones. When you are moving around the site and seeing how the town was in the middle of the fighting you can’t imagine the horror the local people must have went through. Miraculously only one civilian was killed by a stray bullet through her window. Their homes were riddled with bullet holes, or had been smashed up by the confederates who overtook their homes. Their water was contaminated and the fields stank of death and human and animal feces. It was a stench that wafted 25 miles north to Harrisburg. 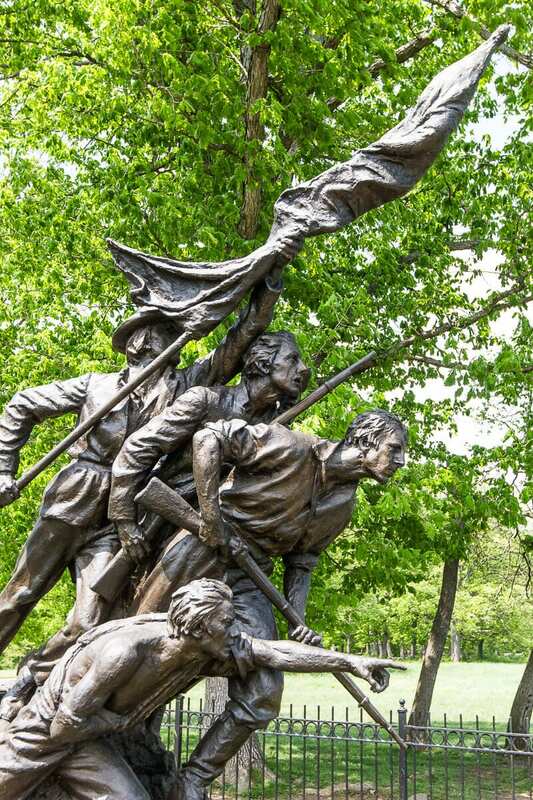 These are the heroes of Gettysburg we must also remember. The Union victory only happened as a result of little mistakes, small victories and random luck, which leaves me to ponder. What side was fate on? Is it Evolution begging for humanity to be better that ultimately decides the eventual victor? The more I reflected the more I saw that from all these wars of our past, the greater good eventually won and evolution happened. At a time when the world, particularly in America, seems chaotic and teetering on the edge of something bad, this gave me great hope to realize, good and evolutionary progress will always win. The madness will soon pass and we’ll settle back into peace again as better people. If you don’t use these historical experiences to be curious and reflective there is no point to them. Even though they happened centuries ago, we can use them to shape our future and become better humans. “Well that depends on what side you’re on. Each thought they were fighting for greater good of their particular cause and so saw the other side as bad. 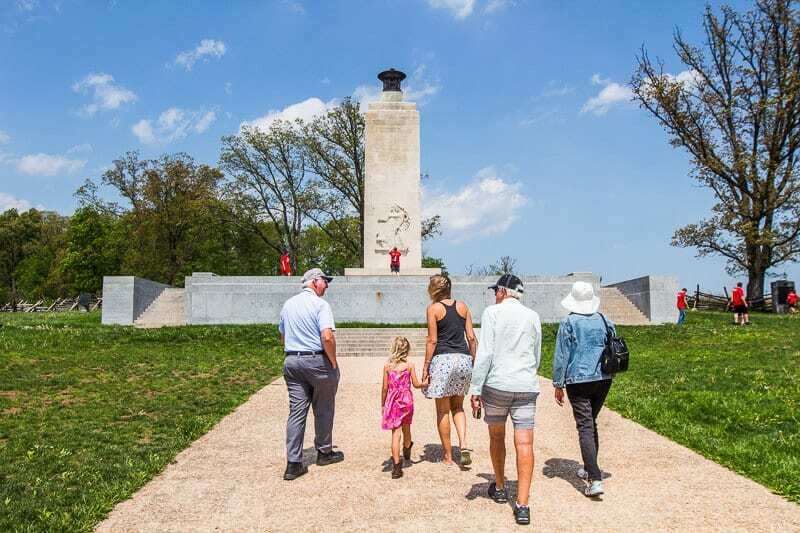 If you stand in the Gettysburg Battlefields and listen to the ghost’s echoes and feel the tranquil beauty of Mother Nature we can follow her calling – the only side we must all stand on is that of love, compassion and peace. Leave the past behind and the labels of good and bad and just invite in peace, love, quality and freedom. Understand there is abundance for all so we don’t need to fight over the power for it. 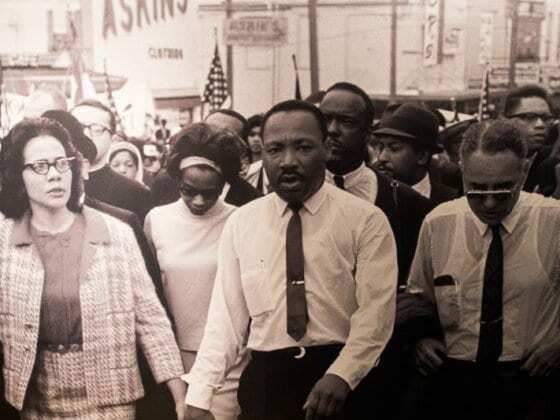 Recognize everyone as equal and work together to overcome challenges rather than gun it out. Then we can truly say those willingly walked into death on the battlefields, did not die in vain. 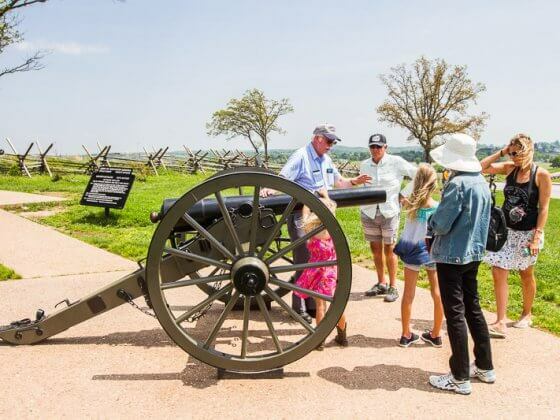 The Gettysburg Battlefield is 5 miles long and 5 miles wide and holds 1700 monuments. 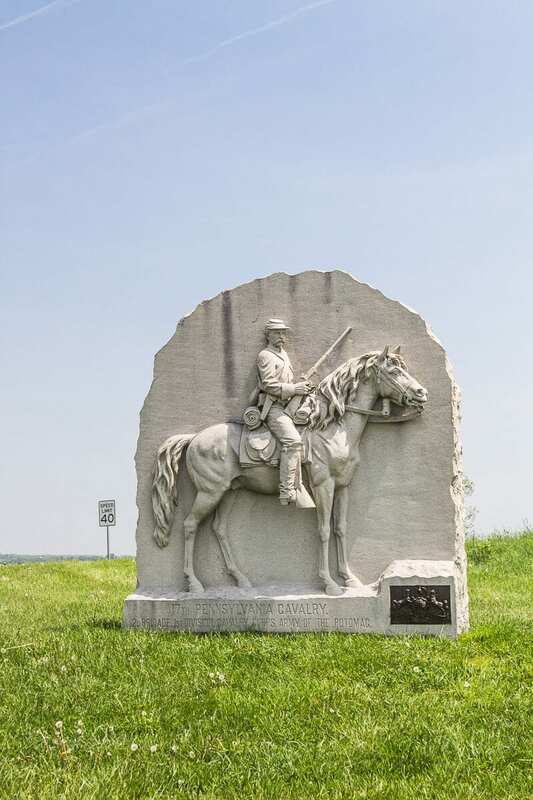 The monuments tell the stories from the different regiments that were represented in the battle from both sides. 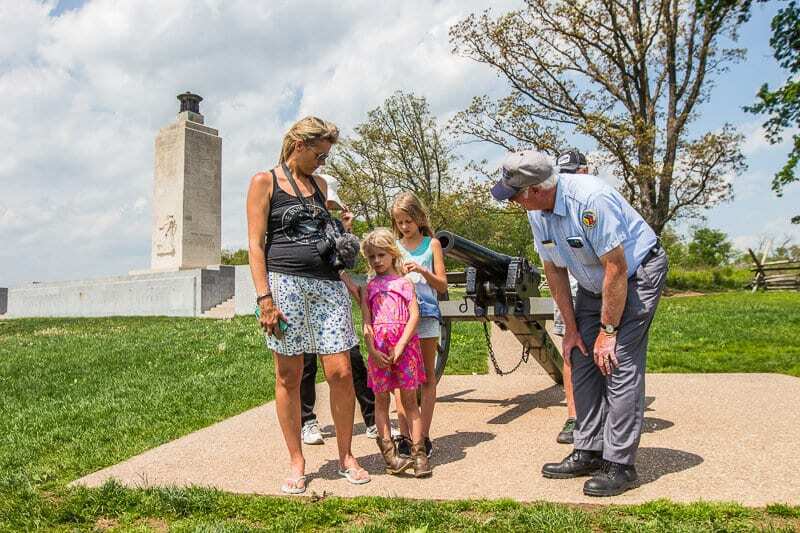 We’ll dive more into the Gettysburg Battlefield tour and more things to do in Gettysburg in an upcoming post. This is more a post sharing my curiosities and reflections. 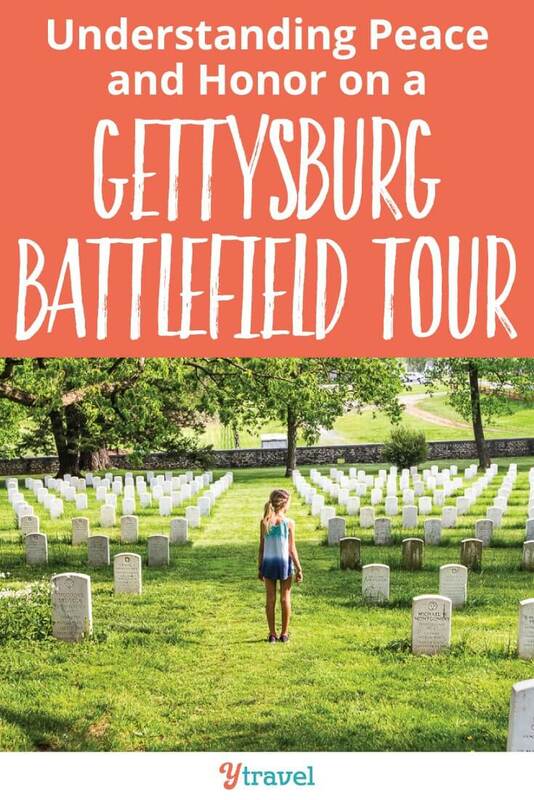 You can do a self guided tour of the battlefields, although we highly recommend a guided audio tour, which was hosted for us via Destination Gettysburg. 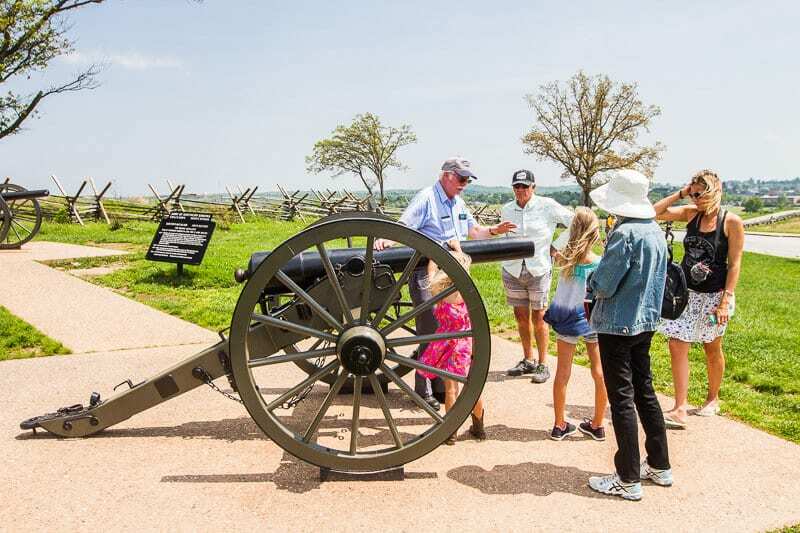 A Licensed Battlefield Guide will drive your car to points of interest around the battlefield sharing facts and interesting stories. We never would have had such an immersive and reflective experience doing it on our own. Our guide had over 30 years of experiences and was a wealthy of knowledge. 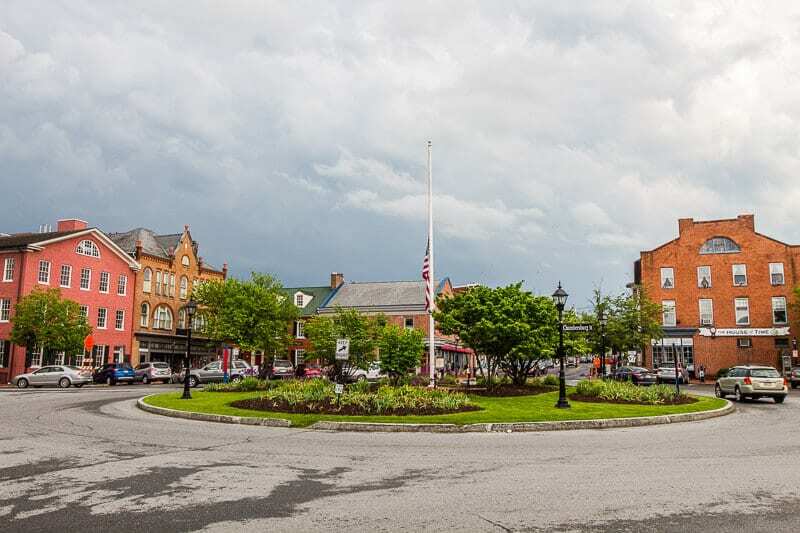 Be sure to spend time at the Gettysburg National Military Park Museum and see the Cyclorama and Film. It’s riveting and insightful. 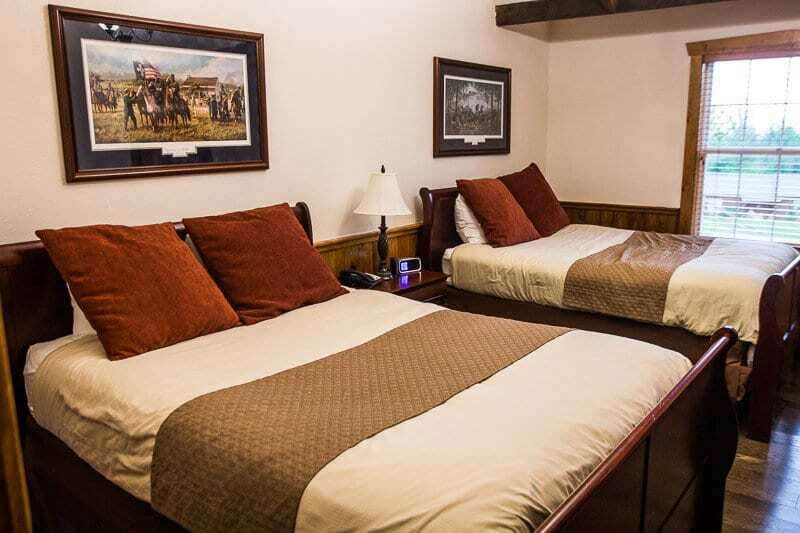 The cottages overlook the countryside with views of the Gettysburg Battlefield in the distance. 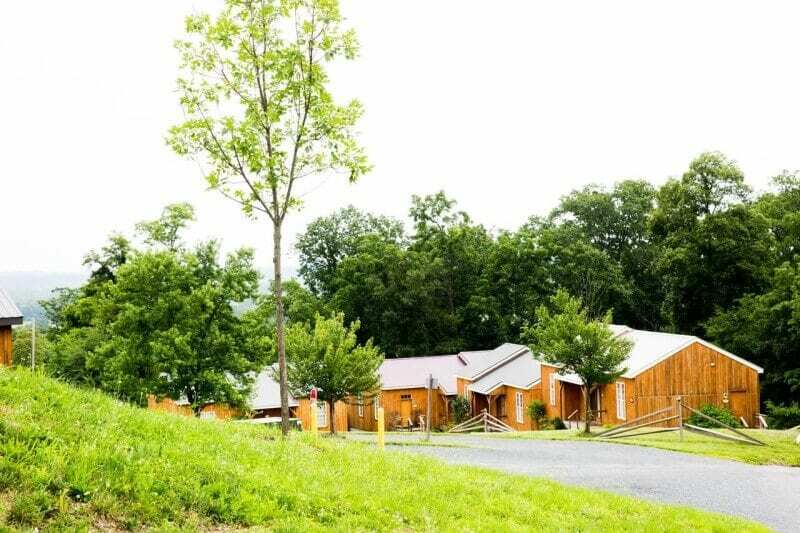 They’re comfortable and quiet and the property has walking trail and a lovely pond on site. My parents loved it and my Dad was particular entranced by the giant battlefield oil paintings hanging up in the cottage, specially the one with General Custer which is his all time favorite soldier and leader. Custer was the first war hero I ever heard of!